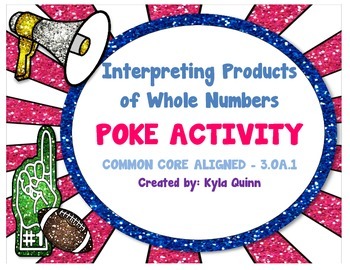 This poke game contains 24 cards which align to Common Core standard: 3.OA.1. 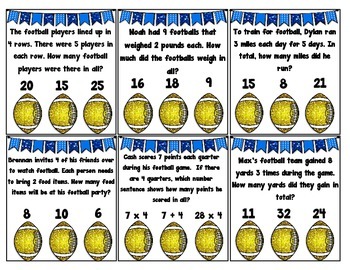 The cards range from interpreting how many objects are in a group, to picking out multiplication sentences that match scenarios, and asking students to read carefully and solve a two part multiplication problem. 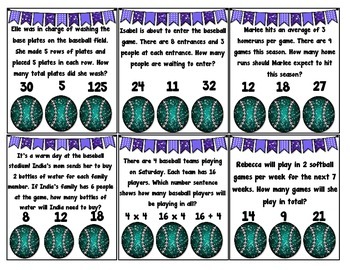 Perfect for small group instruction or a center activity. Directions for students and teacher are included. 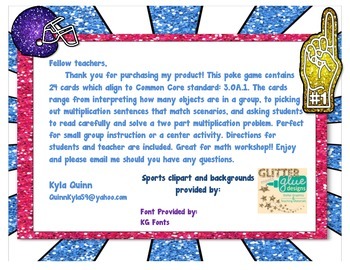 Great for math workshop!! Enjoy and please email me should you have any questions.